The hyperlinked library holds so much potential for the future (present) of library services. Based on the foundation of community, the hyperlinked library promises opportunities for people to interact, create, share, attempt, fail, succeed, contribute, and generate innovative new ideas. The possibilities seem endless. Embracing the hyperlinked library model can help libraries successfully evolve to accommodate the young people’s information seeking behaviors and needs. As mentioned in the module 3 lecture, Palfrey’s and Gasser’s “Born Digital” reminds us to consider how young people use technology. Observing the devices, apps, websites, and information seeking behaviors of these “digital natives” can help libraries determine the trajectory they should consider with regards to their evolving services. 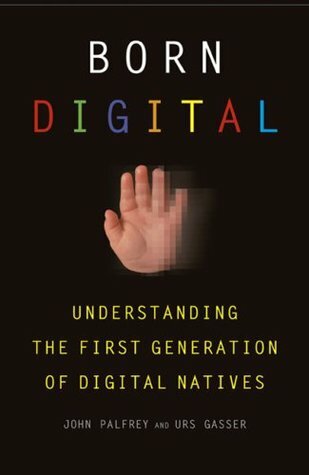 This mention of “digital natives” reminded me of an interaction I had with a young patron at the library. They needed to use a computer in order to sign onto their Google classroom and complete their homework. They asked to do so with one of the library’s Chromebooks, explaining that they felt more comfortable with the laptop since they frequently used them in school. Unfortunately, library policy only allows persons ages 18+ to borrow a Chromebook. I don’t remember exactly how I justified it, but I do remember overriding the borrowing “block” that popped up on the check out screen and let the student borrow the Chromebook anyway. Since my library is considering the purchase of more Chromebooks, the rule that prohibits students from borrowing the devices should be reconsidered or otherwise removed from the policy sheet. Doing so can mark a small step in improving user access to library materials. An aspect of the hyperlinked library that is so appealing to me is that of community. Using the hyperlinked model to breakdown the hierarchy of the library business can help dispel the antiquated public perception of libraries and encourage use of library services. Weinberger’s use of the “Fort” metaphor to describe businesses lacking in a hyperlinked structure made me realize exactly how cut off from the community a library can be. Scene from Monty Python and the Holy Grail. 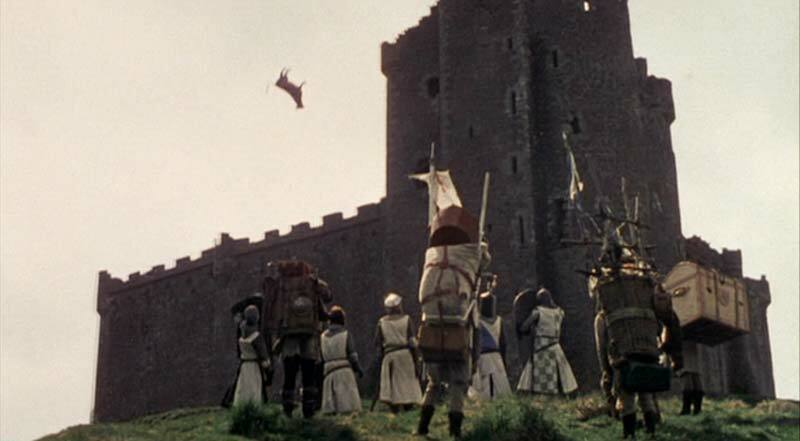 King Arthur and his troop stand before an intimidating castle as a cow hurtles through the sky. Contemplating what it would be like to work in a hierarchical business like the one Weinberger described had me imagining the French castle scene from Monty Python and the Holy Grail. Essentially, forts cut businesses off from communities. Forts operate around a hierarchical structure of top-down authority. But a hyperlinked business is less like a fort and more like an open web that runs on an intranet that is powered by worker communication, collaboration, creation, and innovation. This hyperlinked library that Weinberger describes is exactly like the “Library of the Future” described by Booth’s video. Booth’s library of the future breaks away from traditional bureaucratic roles and promotes a bottom-up work structure. Goodbye structured work hours. So long private offices and closed off reference or circulation desks. The library of the future has no place for those elements. Instead, the library of the future is one where collaboration is encouraged, here the community plays an influential role in the development and evolution of the library, and operates on a hyperlinked model. Booth, M., McDonald, S., & Tiffen, B. (2010). Library of the future in plain English. I agree with your point that the library is there to serve everyone so if you place restrictions on the youth you are cutting our a huge demographic of your patron base. Our policies have changed over the years to allow youth to borrow all types of materials (DVDs used to be restricted to adult cards only) and we have never had a “no internet” classification for our youth but I know that is an option for when processing cards (it’s a system wide circulation system). @lisasemenza our library had a similar system that did not allow children from borrowing DVDs. Glad we finally got rid of that rule! Hurrah for overriding the block on the Chromebook. I totally get the Monty Python angle for the “Fort” metaphor. It made me wonder – what’s a super good example of “fort” mentality business or entity? Perhaps some local governments? I just love the still you chose from the movie – the cow is clearly upside down and just makes me laugh.